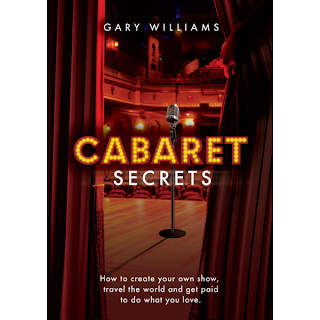 Cabaret Secrets is a well written handbook for any performer that is contemplating stepping down from the creative safety of a scrupulously scripted and scored show and moving on to the follow spot, the high stool and maybe that modest band (though more likely a pianist) in accompaniment, as they engage with an audience in this most challenging but intimate of arenas, the cabaret. 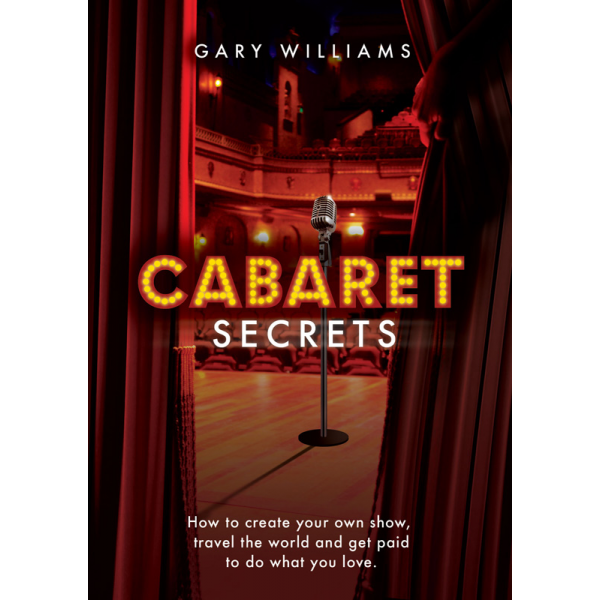 Gary Williams evidently knows his craft and he engagingly opens the book with an anecdotal reference to how when performing in front of HRH The Prince of Wales and before that gig commenced, he reflected back upon his journey from playing Scunthorpe clubs, to reaching the carpeted splendour of Buckingham Palace . His recollection of the choice epithets flung at him by that demanding Northern crowd early in his career, when they discovered he had no UB40 numbers amongst his set list, is a welcoming way in to the book. And in that last sentence is the success of this publication. Williams establishes a bond with the reader that makes you want to read of his travels and learn from the experience he imparts. And that skill, as he explains, is precisely what makes for good cabaret. An accomplished global artist with a respectable string of cruise residencies to his name, Williams for some time played Frank Sinatra in the Rat Pack show and his familiarity with the Great Song Books (not just American) is unquestioned. This book will not teach a performer how to sing nor learn their lyrics. Rather, it sets out principles by which someone, especially a newcomer, can find their way amongst this daunting world. A world in which the audience expect the "fourth wall" to be torn down and where they want a glimpse of the real person behind the performer. As well as notes on patter and repartee, Williams offers guidance on basic vocal hygiene and voice maintenance (minimal alcohol consumption is a given). He peppers the book with frequent references, not only to his own performances, but also his takes on having sat through other performers' gigs. I found myself disagreeing with some of his opinions. Williams talks of Lorna Luft’s abilty to hit the spots in a song being so impressive that he returned the next day to hear her show again. When I saw Luft, it was more her persona and chat that held me captivated. I actually found her voice to be less than spectacular, but I could have listened to her stories all night. Actually, either way Luft makes for a fine example of an outstanding cabaret artiste. Gary Williams here - the author. Thanks for your kind words about the book. I've taken your advice and added a full index to the paperback version. Thanks for the tip, it's better as a result.